The one thing that all employers rely on is the quality of their people. The more experienced and the better trained they are, the more that reflects on the reputation and performance of their company. Qualifications are available to both Levy and non-levy businesses. We can also offer fully funded training for 16–18-year olds. Eligibility will apply, please speak to a member of the Smart Training team for more information. If you have decided to hire an apprentice with Smart Training and Recruitment, we can offer you a wide range of services that will take the hassle out of recruiting apprentices, saving you time and money. We can help you identify the skills gaps in your business, provide support for funding and access to Government schemes/incentives and offer your new employees nationally recognised apprenticeship framework and standard qualifications. 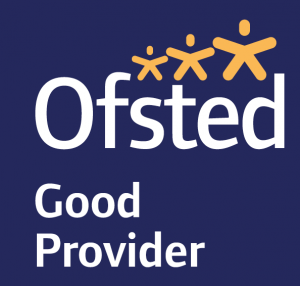 We have been graded as a Good Provider by Ofsted, so you can be assured that your business will be recruiting and training apprentices of the highest quality. Our training advisors are highly qualified in their respective fields, passing on their skills and knowledge to our learners. 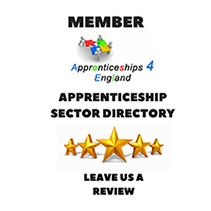 A Personalised Apprentice Recruitment Service! We’ll not only help you fund your Apprentices, but we’ll also help you find them… for free! If you are looking for staff, have you considered taking on an Apprentice? We have a dedicated team of advisors waiting to support you. We will advertise your vacancies, recruit and shortlist applicants to your specification, arrange interviews and we will work with you to select the perfect candidate to join your business – and better still – all these services are FREE OF CHARGE! In June 2017 Smart Training and Recruitment undertook a full Ofsted inspection whereby the organisation maintained its Grade 2. Smart Training and Recruitment are incredibly proud of the result. Apprentices benefit from highly effective support from training advisers and employers. They develop high levels of confidence and good industry skills which enable them to progress well and make a valuable contribution to the businesses in which they work. Leaders and managers have developed excellent relationships with employers, enabling them to deliver high-quality programmes that meet local and regional needs and the needs of apprentices. Employers value the expertise that apprentices develop during their programmes and they recognise the improved contribution that apprentices make to the businesses. Training advisers use their recent industry experience effectively, enabling apprentices and trainees to apply their learning in a variety of work contexts. As a result, they gain high levels of confidence and develop good, industry-standard skills quickly. Leaders and managers have developed highly productive working relationships with employers. They have worked collaboratively to improve the choice and relevance of the qualification units available to their apprentices and to develop in-house training packages.